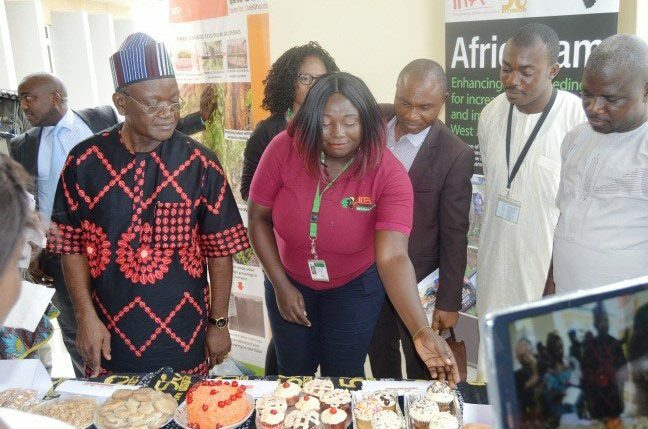 On the 13 October 2017, IITA Abuja station played host to the signing of a memorandum of understanding between the Institute and Benue State government. The Executive Governor of the State, Dr Samuel Ortom and his team were welcomed by the Acting Head of Station, Aighewi Beatrice and the Station Administrator, Olurotimi Famodile. Governor at Agripreneurs’ exhibition of cassava and yam products. Presentations were made to showcase IITA’s achievements in all aspects of the agricultural value chain as well as the key role played by the Youth Agripreneurs in crop and animal production and value addition through food processing as a way of tackling the challenges of unemployment and food insecurity in the country. Beatrice Aighewi noted that IITA had been working with farmers in Benue State for many years and recognized the major role the State plays in food production as the “food basket” of Nigeria. An interactive session was held with the Governor during which he noted the significant agricultural activities at IITA and said the State wished to maximize its potential by transforming its economy with agriculture and food processing in particular. Governor Ortom was impressed by the IITAAbuja Agripreneurs presentation of their activities and operations. Loveth Sesuur, a member of the Abuja Agripreneurs, affirmed the positive impacts that could be made on youth in Benue State actively participating in agriculture with the State government’s support. Governor Ortom recommended that the Youth Agripreneurs should work with the Benue State government by training Benue state youth in modern agriculture. 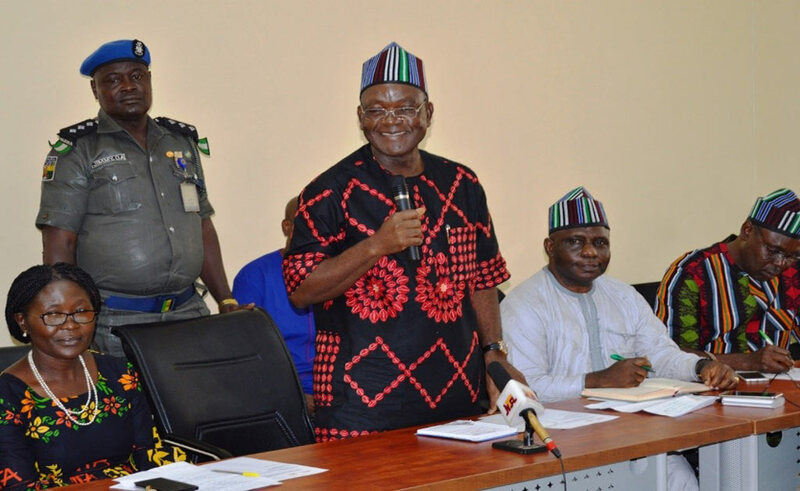 The Benue State government indicated interest in the deployment of proven superior technologies of production and high-quality seeds to boost farmers’ productivity as this would be a way to make farming attractive and encourage youth to venture into agriculture. He further added that the state government will collaborate with IITA to improve key aspects of the state agricultural sector in Benue State.